Millennials are a generation unlike any other. These tech-savvy individuals speak their minds and are constantly connected to digital devices. And when they get sick, they race online instead of racing to the doctor and get lost in an endless Google search that can lead to dubious articles and bad advice on social media. This leaves them disturbed by the healthcare system, which furthers the disconnect between Millennials and healthcare providers. According to a 2012 study from ZocDoc and Harris Interactive, Millennials were so fed up with healthcare that more than half of these young adults avoided seeking medical treatment. And 76% thought it was easier to find information about a hotel than a healthcare provider. But since these young adults are the next generation of healthcare consumers, their involvement in the medical system is vital to its survival. That’s why healthcare providers need to appeal to the tastes and traits of Millennials to build a better relationship. GetReferallMD.com offered three tech-centric ways to recover these young adults. 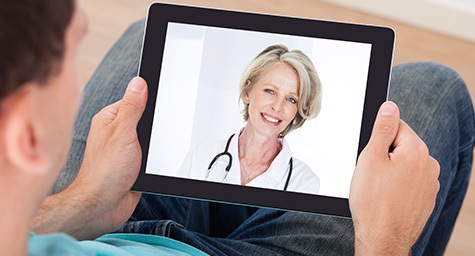 Healthcare organizations need to understand how young adults use technology. If they don’t, they risk throwing away money and time on digital efforts that aren’t effective. It’s important to realize that Millennials are a mobile-minded generation that are always on the move and rarely sit down to desktops. In fact, a Pew Center study showed that half of Millennial respondents did most of their online browsing from their smartphones. The appeal of mobile lies in the speed and ease of accessing information from any place, at any time. Users don’t want to fill out long forms or scroll through endless pages. That’s why a good mobile experience lets users quickly complete tasks in a simple, streamlined, and seamless way with very little input. Before building a website or creating an online form, research what potential patients want in an online experience. Use both the latest Web analytics tools and old-fashioned personal feedback. Then, test your results repeatedly before they’re launched and live. When facing an illness, people are hungry for information. Thanks to the Internet, they tend to learn as much from their peers as from their providers. Doctors can provide certain health-focused facts, but patients want to learn from fellow patients about how to handle their care and its costs. This leads them to seek out support and advice in online discussion forums, on social media channels, and in peer-written blogs. This personal perspective is a powerful tool that resonates with patients, so healthcare providers should seek and store any peer-generated resources that could help them connect with patients. This can include articles, blog posts, personal stories, and other pieces of content that could ease the patient’s healthcare journey. Millennials hate waiting in lines or talking on the phone. They want instant access and would rather complete their tasks with a simple swipe on a screen or a few quick clicks on a keyboard. That’s why they use text messaging, email, and online communication dashboards to communicate quickly and easily. Plus, this provides a record of information that can be retrieved and reviewed with ease. To reach this highly digital demographic, healthcare providers should start communicating with them through their preferred digital channels. By meeting Millennials’ need for mobile convenience, peer perspectives, and digital ease, healthcare providers can reach this young market and help them feel good about healthcare. Learn the latest in healthcare marketing. Contact MDG Advertising today at 561-338-7797 or visit mdgadvertising.com.